If you love the smell of Baby Johnson’s baby products (let’s face it, who doesn’t?!) you’ll love this brand new fragrance from The Library of Fragrance. It’s called Baby Powder and it smells just like baby talcum powder. Of course, once you apply this Eau de Toilette on your skin, some of the top notes evaporate and it adapts to you, it might change a little, but that trusting, just-come-out-of-the-bath scent is definitely in the air: it’s a clean and comforting smell that will take you back (possibly) to your very own childhood. It’s light and fresh and great for the summer as it’s clean and breezy. The fragrance is priced at £15.00 for a 30ml. bottle and is available on their website Thelibraryoffragrance.com and Boots (online and stores nationwide}. They have some great scents like Play-doh (another memory lane classic! ), Sunshine and Grass. Check them out if you’re after some delicious new colognes! Advancing scientific research is showing us that scent is processed deep within a part of our brains that also manages emotion and memories. 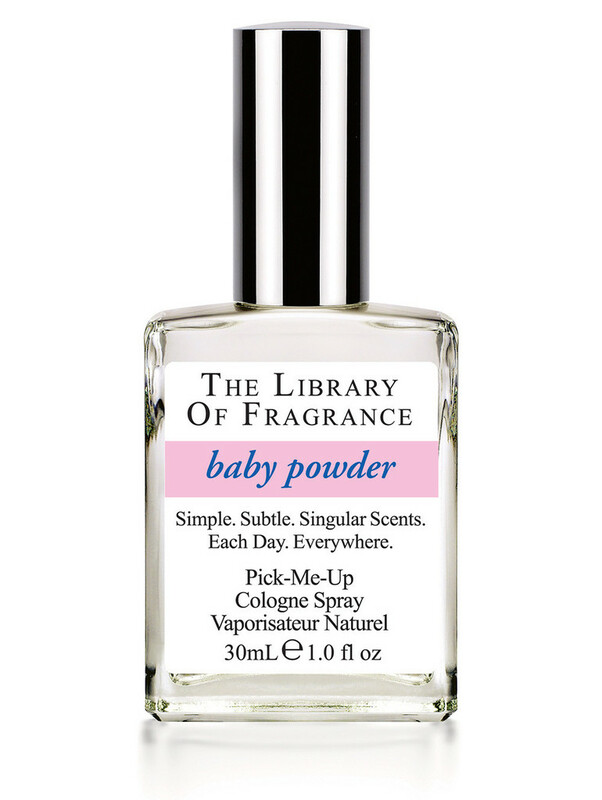 It’s not likely that many of us have tangible memories of being a baby, but it’s very likely that the scent of our Baby Powder fragrance subliminally takes us right back to feeling soothed, cradled and cared for. And who doesn’t want to feel like that at least some of the time? This entry was posted in Baby, Body, Scents, trend and tagged baby powder, cologne, Fragrances, Johnson and johnson, NEW, relaxation, Scents, The Library of Frangrace, wellbeing. Bookmark the permalink.